People in the Staffordshire market town of Tamworth are being given the chance to 'share the love' they feel for the place they call home. 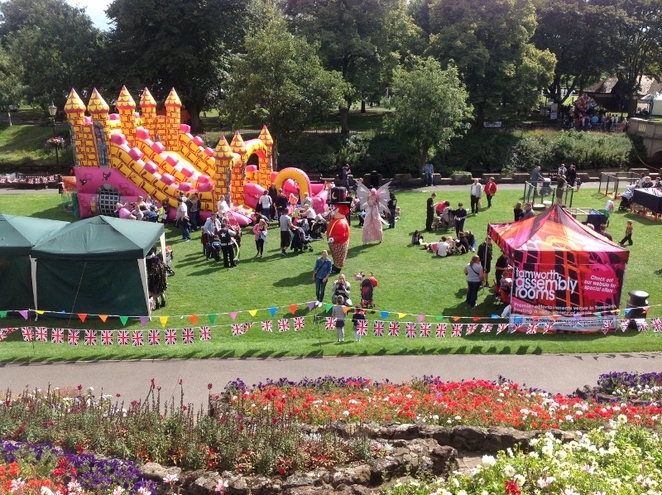 They are being invited to turn up in their thousands for this year's We Love Tamworth outdoor festival which takes place in the delightful grounds of historic Tamworth Castle on Saturday 3 September. The We Love Tamworth event, organised by Tamworth Borough Council's Arts and Events team, takes place on Saturday 3 September 3 with an action-packed day of fun activities for the whole family, including fairground rides, stalls, games, inflatables, a dog show, music, and also Tamworth's strongest man competition. 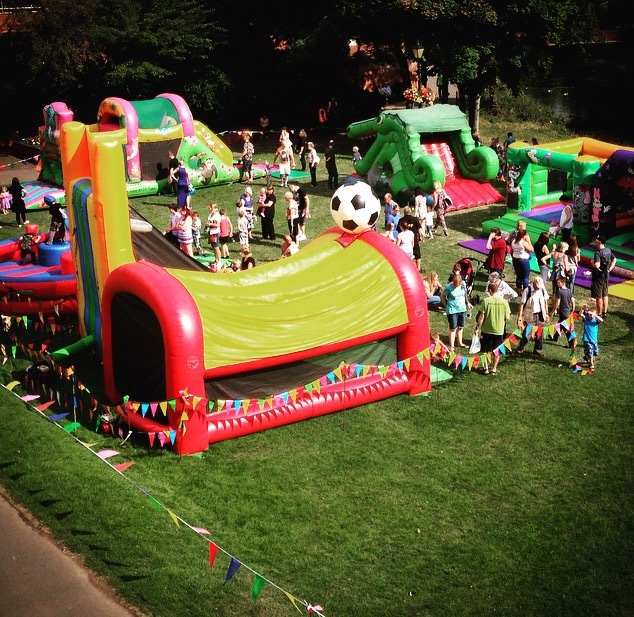 At the centre of the festivities will be a dedicated Children's Zone featuring a variety of things to see and do such as walkabout characters, a mini zoo, bouncy castles and slides, face-painting, giant games and craft activities. Entry to the Children's Zone is £3 for children who are able to come and go as they please throughout the day. Musical accompaniment will be provided by the Amington Band, who will be filling the Castle Grounds with favourite big band tunes throughout the afternoon, alongside live broadcasts from local radio station TCR FM. The stalls arena is again being run by Tamworth Lions club, which has been supporting local charities and causes for almost 40 years. Stalls will range from gifts, toys, food, drink and pet products to displays by dance groups, scouts, guides, brownies, sea cadets and the Shoebox Theatre. Dog lovers interested in entering their pet pooches into the dog show can call 0121 3130174 or 07894 644572. 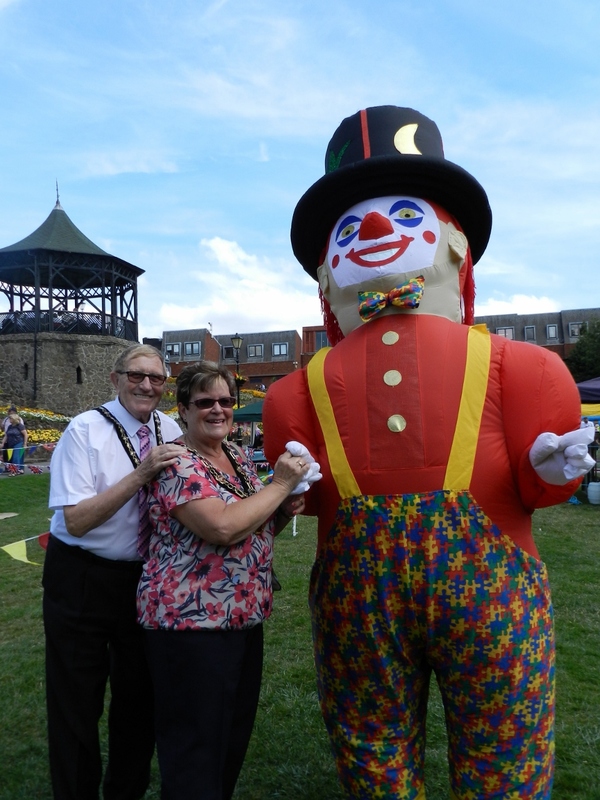 We Love Tamworth is now in its fourth year and last year attracted a record-breaking 10,000 visitors. 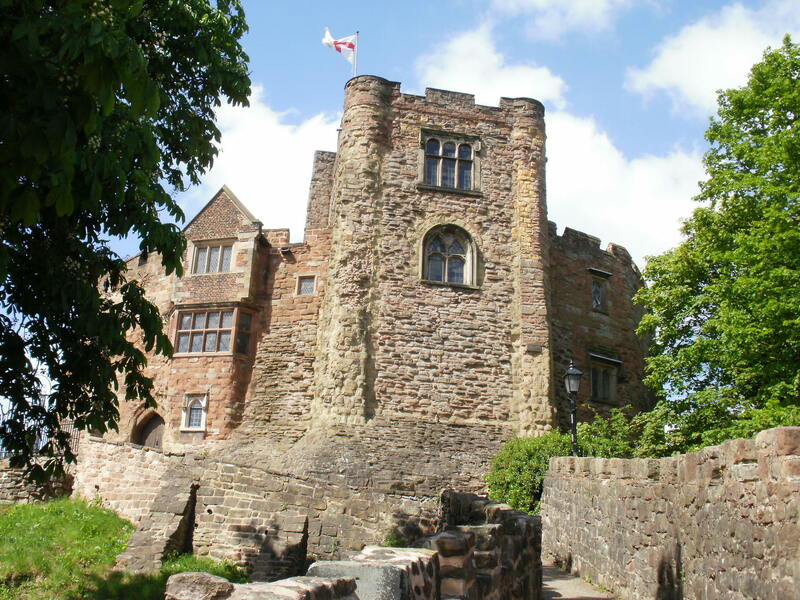 As the 2016 event falls on Merchant Navy Day, it will also include a brief ceremony during which the UK Merchant Navy's official flag, the Red Ensign, will be flown from the top of Tamworth Castle. A party of Tamworth sea cadets and standard bearers will hoist the flag in front of a small audience of Navy veterans and civic dignitaries, including the Mayor of Tamworth Councillor Ken Norchi. The fun kicks off at 10am and will continue throughout the day until 4pm. We Love Tamworth is sponsored by Ankerside Shopping Centre in the town. More information about We Love Tamworth and other council events can be found online.